Homemade Treats And Meals For Cats: The Purrfect Guide To Available Options From Singapore! Aren’t homemade treats just amazing? Not only are you assured of zero artificial additives or preservatives, some are even made from organic ingredients to guarantee quality of ingredients. However, not all of us can muster up time to embark on a full-fledge diet preparation, due to work, family related responsibilities and also the uncertainty of your Pets’ diet requirements. It has come to our attention during research that homemade treats and meals for Cats aren't as saturated in the market as compared to those for Dogs— Is this business not derived as a commodity here in Singapore? 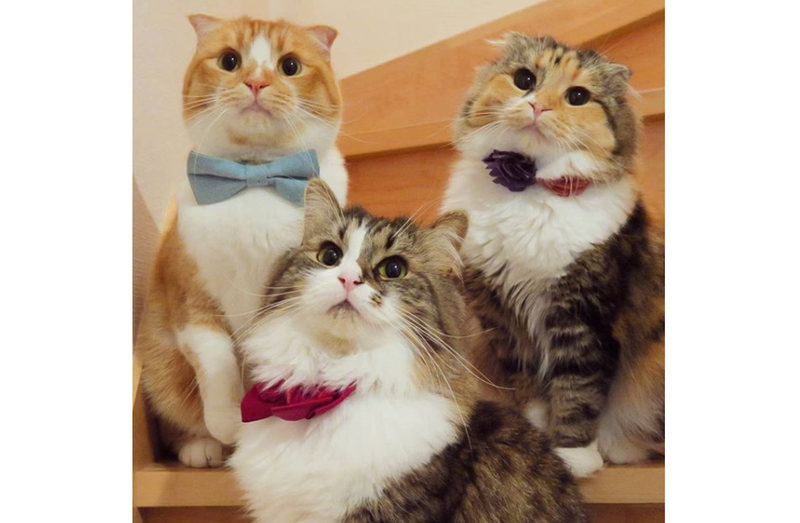 So now it’s time to spread some homemade love to our Feline friends! Be at ease knowing that the production team behind these homemade goodies are usually Pet owners themselves or even experienced bakers and chefs for Pets! To be doubly sure, approach your trusted Veterinarian to ascertain if your Feline companion requires any specific nutrient needs. Steer clear of any ingredient that you know your Kitty may be allergic to!Some of these Merchants provide customization to meals as well. If you are gifting these treats or meals, you may want to be sure that your furry recipient(s) is not allergic to any ingredient that is in the item (let’s be considerate and safe for others). 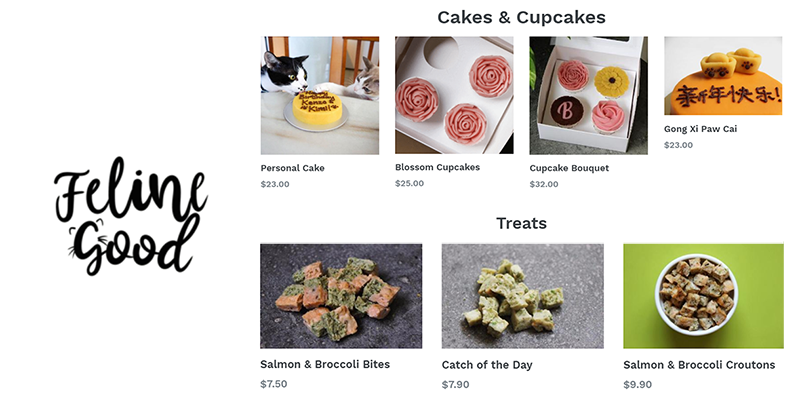 Cat-friendly artisan cakes and treats, handmade with delicious and healthy ingredients. Professionally handmade treats for Cats, great for Dogs too! 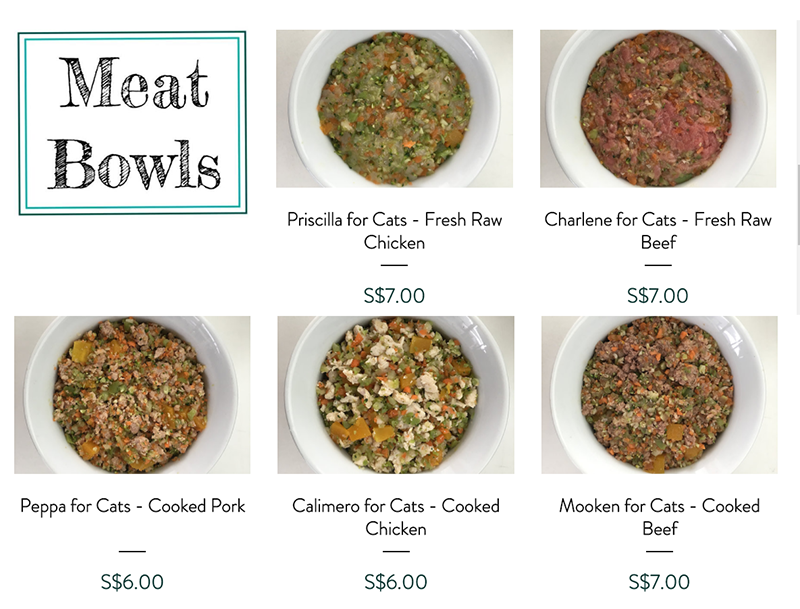 Freshly prepared organic meals for your Cats! Water Fountains For Pets: How It Works And Where To Buy Them! Have you tried any of these services? Your voices are important to us and the Pets community! Our readers are encouraged to share their Pet-related reviews of a place and its services, experiences, even lifestyle tips and tricks to better our Pets lives, on our platform, one paw at a time. Be a part of an educational and informative Pets community because at ThePetsDialogue, your voices could make a huge difference on a global scale.